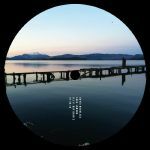 Review: "The Links EP is Blackhall & Bookless' latest outing for their increasingly renowned Jaunt Records imprint. A highly personal release, the EP is a homely affair, celebrating the boys' upbringing in Whitley Bay with a gusto that's indicative of the area's unique charm. 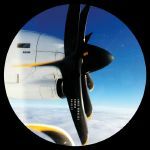 "Links" serves up a dreamy, atmospheric landscape - and one that reflects the location around which the EP is titled. Don Williams' interpretation goes down the rabbit hole further still, teasing the listener thanks to a range of slashing echo chords and clever sub bass techniques. The duo's second original is "Vision", aAdark techno jam that manifests into a stunning tribal hypnodrome.AClosing out the EP is "Cognition", another highly atmospheric track that keeps the listener locked thanks to its many dexterous capabilities. The striking artwork, meanwhile, showcases a black and white image of where the pair would hang out as teenagers. In that essence, the image echoes their production style, with the two sides of the links joining at the bridge and working together in unison. JR004Ais dedicated in loving memory to Ian Blackhall." 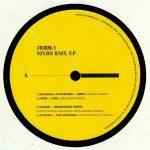 Review: Jaunt Records' 10 year celebrations are spanning a series of 12"s that feature a broad spectrum of artists searching for the ultimate deep techno fix. The four contenders that occupy this Sea release all have their own agenda, but they sit together perfectly. Hiver weaves illustrious pads in between nimble electro drums and bubbling acid bass, while Artefakt creates eerie, fractured acid meanderings to send a shiver down your spine. Hinode does some deft break choppage to create a dreamy trip for the up all night crew, and then Region rolls the record out on an emotive tip while keeping the rhythm section pumped up for the floor. J.C. - "The Jaunt Track"
Basic Soul Unit - "Escape Velocity"
Blackhall & Bookless - "Spirit"
Review: Jaunt Records is celebrating 10 years of active service in fine style with this series of various artist 12"s. The Air installment features four beat scientists presenting diverse musings on deep diving techno, kicking off with the hypnotic, cyclical "Meandering Rivers" by Kaelan. 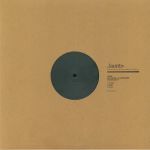 JC meanwhile spices things up with the breakbeat roughness of "The Jaunt Track" before Basic Soul Unit lays the smack down with the bruising broken techno of "Escape Velocity". Blackhall & Bookless finish the EP off with the big room dub-out of "Spirit", a churning beast of a techno track that still maintains the meditative qualities of the other tracks.